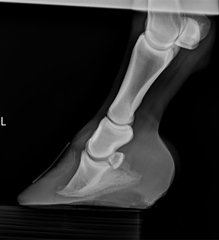 Aspen Ridge Equine Hospital utilizes Digital Radiography (DR) to give the horse owner, or buyer in the case of Prepurchase Exams, the fastest possible answers when evaluating the horse’s skeletal system. 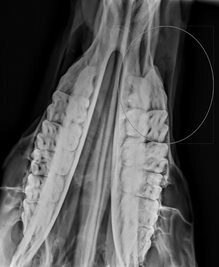 Digital Radiographs, like a digital camera, provide an x-ray image of the desired structure with in seconds of exposure. This is the principle advantage of DR over Computed (CR) or conventional film radiography both of which requires much more time to process and make a diagnosis. With a thorough lameness evaluation and determination of where the horse’s soreness is coming from, DR x-rays provide the veterinarian and horse owner an immediate answer as to the presence of skeletal disease. A diagnosis can be made and therapeutic plan developed right then without having to make multiple visits thus saving the horse owner a great deal of money. For the individual buying a new a horse, having the availability of digital radiography gives that buyer the most rapid assurance there is no skeletal disease in the structures evaluated. Other advantages of Digital Radiography include immediate sharing of these radiographs with the horse owner, farrier or other veterinarians. Every DR image taken by Aspen Ridge Equine Hospital is archived with a third party to ensure their security and future accessibility. 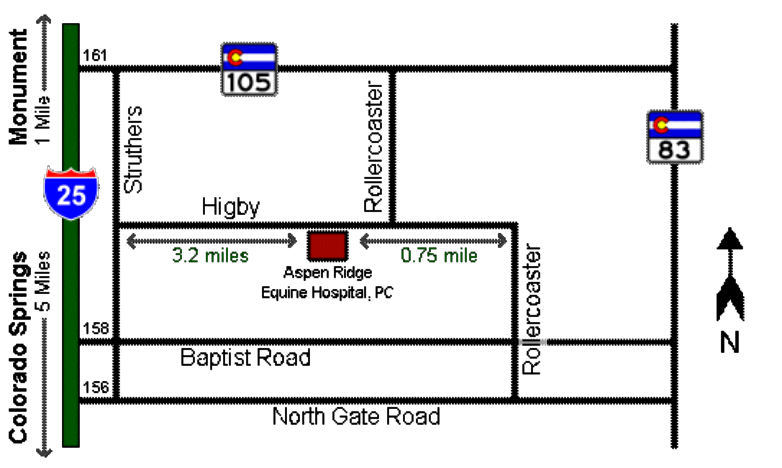 Images can be post processed if needed on the computer to adjust size, contrast or brightness to enhance the images providing the most diagnostic views. Aspen Ridge Equine Hospital, PC incorporates DR imaging to provide the horse and horse owner the most advanced radiographic modality possible. This will ultimately enable the most accurate and rapid treatment for the horse and save the horse owner money.